Lilies have been dated all the way back to 1580BC – pictures of the flower which originated in the Minoan period were discovered in a Cretan villa. Aside from this, lilies can be found growing all over the world in a wide variety of shapes and sizes. As well as many parts of Europe and the USA, you’ll also find lilies in regions as diverse as Japan, India, Siberia and Korea. The lily flower has some culinary applications, particularly in China and other parts of Asia. Edible lilies were also popular during the Victorian era in the west. A recent resurgence of interest in edible flowers amongst the Instagram generation has brought flowers such as lilies back into fashion. A word of caution – some species of lily have alkaloids that can be harmful, so make sure to ensure the lilies you are using are definitely edible. For over 2000 years the Chinese have made use of lilies for their medicinal properties. From coughs and fevers to childbirth pains and bruises, lilies can be used in teas, balms and natural supplements to help cure ailments. Have a pond in your garden? Water lilies can be added to create a living space for micro-organisms that fish feed on. Aside from this, lilies used in this capacity make ideal hiding places and also create shade. Purity, royalty, innocence and rebirth are just a few of the themes associate with lilies. The lily is also popular as a condolence flower. The significance of sending lilies to a loved one can very much depend on the colour you opt for – for example orange can represent passion, yellow can symbolise happiness, and white can mean modesty. 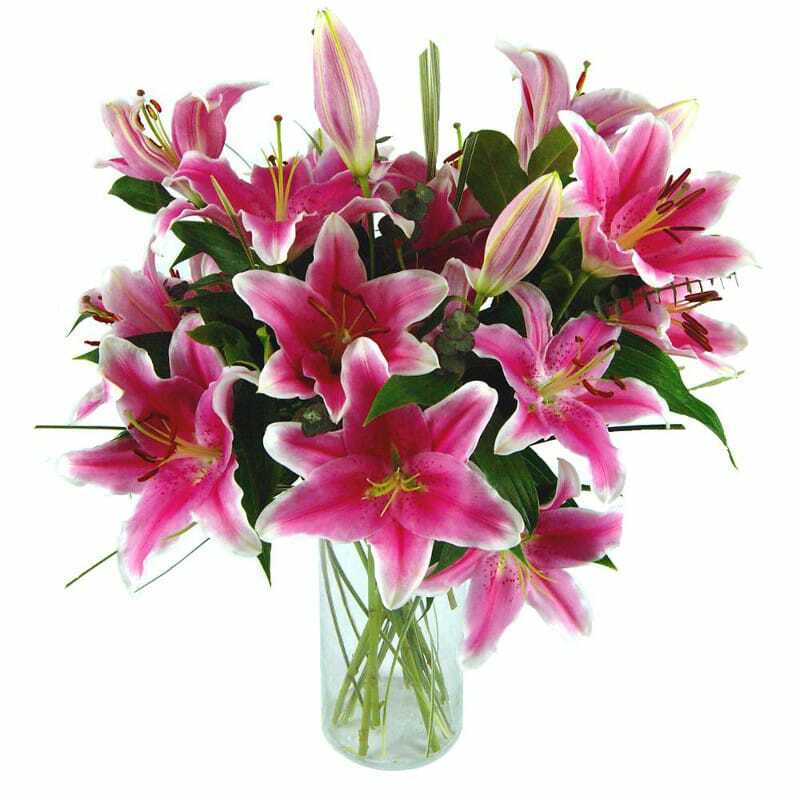 As with most varieties of cut flower, it’s best to trim the stems of your lilies at a diagonal angle as this helps with water absorption. Mix in some flower food and remove any leaves which will be underwater – these can use up valuable nutrients. Remember to keep your lilies away from draughts and strong sunlight. Regularly keeping the vase topped up with fresh water will helps extend the lifespan of your flowers. Here’s another lifehack for extending the longevity of your lilies – remove the pollen found in the flower! Renowned for being strikingly aromatic, it may surprise you to learn that it’s actually only white lilies and tiger lilies that are fragranced. Lilly pollen can induce deadly poisoning in cats. If you’re a cat owner, it’s probably best to steer clear of lilies when selecting flowers. It’s not only humans that have discovered the culinary benefits of lilies – squirrels, deer, mice and insects have also been observed to feast on the flower. When it comes to flower arranging, lilies are the fourth most popular flower in the world. There are over 100 genuses recorded in the Liliacae family. Interestingly, water lilies and calla lilies are not considered true members of the Lilium genus.